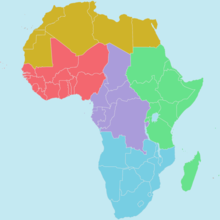 For the predecessor organisation, see Organisation of African Unity. 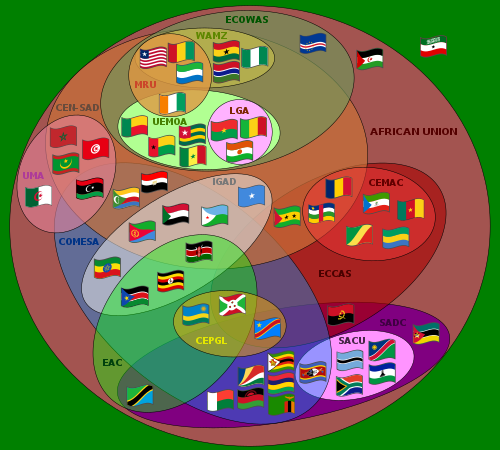 Ethiopia Addis Ababa 11–12 October 2013 “Africa's relationship with the ICC” This was in regards to the ICC's non-adherence to AU calls to drop certain charges against sitting leaders and that it was disproportionally targeting Africans. South Africa Durban 28–10 July 2002 “Peace, Development and Prosperity: The African Century” Notable events include the launch of the African Union. ^ Sulaiman, Abubkar o.; Agoha, Ifeanyi Chuckwu (1 October 2013). 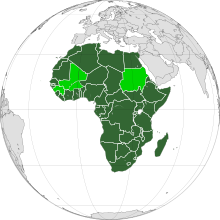 "South Sudan Negotiated Independence: A Critique of African Union's Role". European Journal of Sustainable Development. 2 (3): 145–154. doi:10.14207/ejsd.2013.v2n3p145.